More handy than the competition? 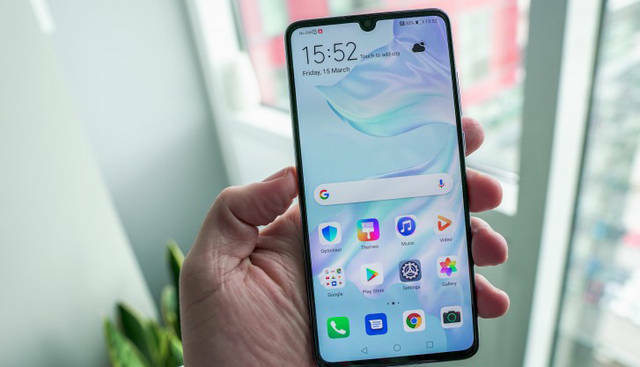 The Honor 20 adapts itself almost completely to the design conditions of the market. Honor also relies on a waterdrop notch, which offers space for the 32 megapixel front camera in the middle of the upper edge of the screen. On the other hand, the screen diagonal increases from 5.84 inches to 6.1 inches. But also the display changes, apparently one now uses an OLED display instead of an IPS panel. This would give you a higher contrast, somewhat richer colors, more energy efficiency and the possibility of an Always On display. As with comparable smartphones, the fingerprint sensor is moved into the screen! We don’t know much about the back yet. The typical Huawei Twilight effect is probably on board again. But now there are three cameras on the back instead of two. The main sensor probably consists of the currently popular 48 megapixel Sony IMX586, which the Honor View 20 also uses! In addition there is a 20 megapixel ultra wide angle camera and an 8 megapixel camera! We also know a similar setup from the Xiaomi Mi 9. However, the telecamera should even support a triple optical zoom. The Pro version should be even better equipped. The Honor 20 Pro is rumored to come with the Sony IMX600 sensor, which is also found in the Huawei P30 Pro, Huawei’s current top model. No surprise, however, that the Honor 20 and 20 Pro are armed with the HiSilicon Kirin 980 processor, which is currently the most powerful processor from their own company. It already sits in all of the company’s current top models. The memory is large enough with 6 GB RAM and 128 GB internal memory. Instead, a battery with a capacity of 3.650 mAh is used, which can probably be charged with 22.5W. The Global version will then of course be equipped with all necessary LTE tapes and NFC, a multilingual version of the EMUI 9 operating system based on Android 9 will be pre-installed on the memory. However, the Honor 20 will be presented in China on April 25th. The starting price should be around $450. We liked the Honor 10 back then, but it wasn’t quite perfect. The Honor 20 and 20 Pro sound promising, especially the OLED display and the 48 MP triple camera are two features we are looking forward to. But nowadays that’s not enough to stand out from the crowd. We therefore hope that a good screen-to-body ratio will produce a relatively handy smartphone. However, we still don’t have the picture material to evaluate this in advance. What experiences have you had with Honor and would you be interested in Honor 20?